"In the end we will conserve only what we love, we will love only what we understand, and we will understand only what we are taught." Volunteer for Animal Care at the Farm! If you have volunteered for animal care or wondering what would be involved please check out our quick instructional videos below! You'll be an expert and ready to go in no time! It's that time again! 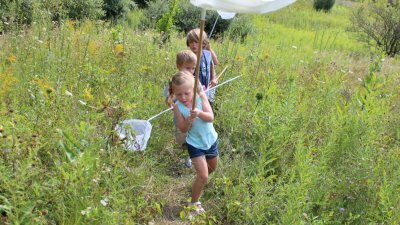 A 4 week outdoor, nature based experience for kids ages 5-12 beginning on May 2nd running through May 23rd. Garden club will have a limit of 25 participants so please register online soon and save your spot. 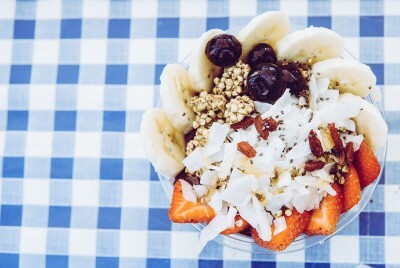 We will have a soft start from 4-4:15 at the farm's Sunflower Market to allow for kids from any CCS schools to attend! Pick up is at 5:15 p.m.
Do you have a talent, craft or nature based knowledge? Are you interested in a really unique venue to host your workshop? Send us a message, let's talk! 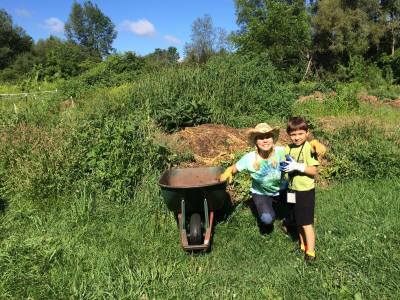 Come out to the Clarkston Family Farm on the first Sunday of every Month starting in July from 1-3, help us to get our farm GROWING while enjoying the sun, getting your hands in the dirt and getting our farm blooming for our kids, our community and YOU! We THANK YOU in advance for your help, we can't do what we do with out you! Kids welcome! Bring garden gloves and trowels. Work, play, plant & learn...from each other! Join us every Tuesday from 9-11 or drop in when you can for a farm grown workout. 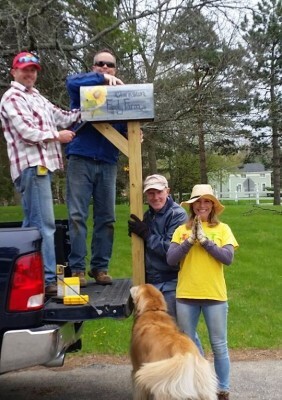 It's good for your body, good for the soul and good karma for your love of the Clarkston Family Farm - "We Dig It!" We look forward to farming with you! Projects include work at the Hoop House, Heritage Garden & 3 Sisters Garden Cost: Free! Your help is priceless! Drop-ins Welcome! For those of you wanting a reason to come and hang out with us at the farm - we are waiting for you! 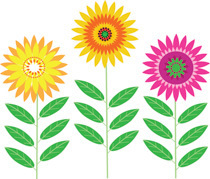 Help us make it bloom! Every Thursday evening from 4-6. We have all kinds of family friendly work that needs extra hands! Bonuses? 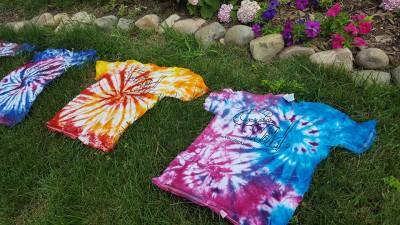 - It's fun, it's healthy, it will wear the kids out and it's hands on learning! (Oh, and it's free!) Project days will include work at the Hoop House, Heritage Garden & 3 Sisters Garden. We thank you in advance for your help and support! SPRING! 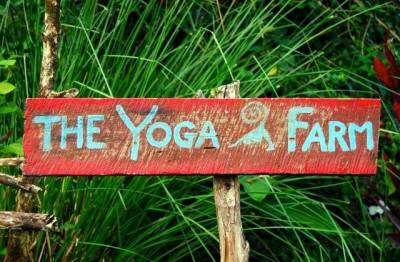 - Yoga at the Farm! Join us at the Clarkston Family Farm for yoga with instructor Connie Passejna! Classes will be held in our beautifully newly renovated (and heated!) Green Room. (1st driveway off Hubbard on right before the main farm/market driveway) 6800 Hubbard. Rd. COMING IN APRIL - Details on days and time available soon! Slow Flow Yoga: The emphasis will be on building strength, balance, and flexibility on the yoga mat, while flowing through a series of poses. Enjoy moving mindfully and breathing deeply. Open to all levels. Hatha Yoga: A gentle practice using bodily posture, breathing techniques and mindfulness with the goal of bringing health to the body and calm the mind. Open to all levels. Purchase a punch card through our online registration system and join us for either or both classes as your schedule permits! Punch card covers 8 drop-in classes ($100) or drop-in and pay on site the day of ($15). Choose from our 3 different bird session or choose them all! Come join us for this make and take workshop... Our Feathered Friends - All About Michigan Birds! 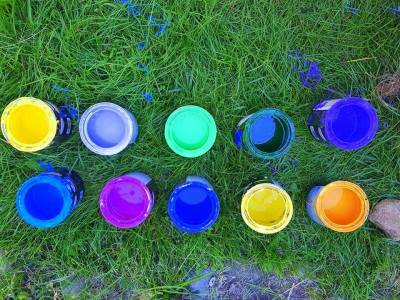 Nest Ball Making (Ages 3+),Bird feeder Workshop (ages 5+) and Bird House Building (ages 8+). Kids 10 and under, please bring your grown-up! Choose from our 3 different bird session or choose them all: (pre-registration is required) ~Nesting Ball Making~ Learn all about birds here in Michigan in the spring and what they require to create a nest for their babies. 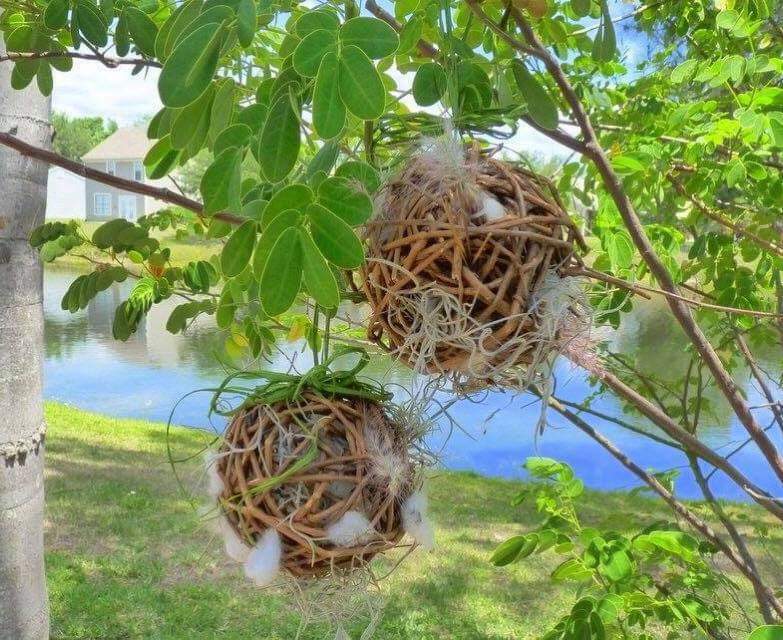 Create a fluff filled tidy package of material for our feathered friends to build their nests to take home. -March 22nd, 10:30-11:30 am --All ages welcome (ideally suited for kids 3 and up) ---Participants 10 and younger require an adult chaperone ----Location: CFF, Green Room and Heritage Garden. $5.00 per participant ~Birdfeeder Workshop~ It's a bird beak buffet! Let's build and fill a handcrafted bird feeder with high quality treats for our feathered friends. Created in part with things found in nature, learn all about how different birds enjoy and require different types of snacks depending on how their beaks are shaped! It's a fun and interesting construction and science workshop. Each participant will bring home their very own bird feeder for a bird beak buffet in their own backyard! -April 11th, 4:30-5:30 pm --Designed for kids ages 5 and up ---Participants 10 and younger require an adult chaperone ----Location: CFF, Green Room $10.00 ea. ~Bird House Building Workshop~ It's time for everyone's favorite building project! Creating a beautiful birdhouse for our feathered friends. One size does not fit all, there are special birdhouses for each type of bird. 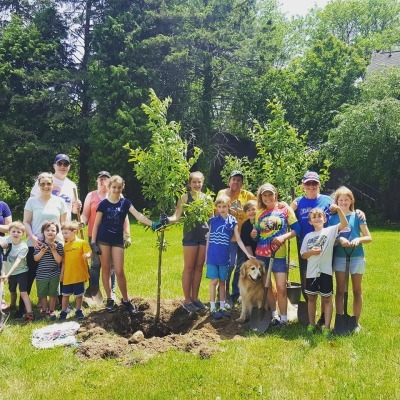 Participants will learn all about the specific needs of birds in southeast Michigan and get to choose from one of three types of birdhouses to build and take back home for the birds and their backyard! 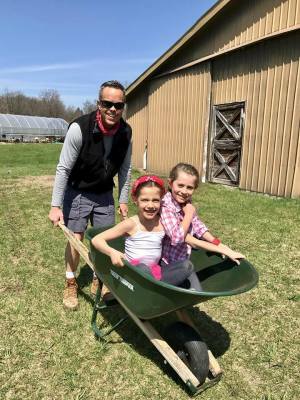 -April 27th 10:30-12 noon --Ideally suited for kids 8 and up (age exceptions for siblings) ---Participants 10 and younger require an adult chaperone ----Location: CFF, Small Barn (meet at Sunflower Market) $15.00 ea. Follow our series and learn what we're really all about and what we're doing on the farm! Imagine a typical mid-winter day in Michigan, a little windy, probably pretty cold, with some sun but hardly an invitation to get outside, let alone garden. Now come up the hill at the farm, you will find a 120 square foot warm and welcoming sanctuary, even in the worst weather, our solar greenhouse. We lovingly call this space the Hopeful Hoophouse for both its materials and the fact that it was funded by a generous grant through the Clarkston Optimist Club . After all, who is more hopeful than an optimist? Bordines also contributed to the space by donating large quantities of soil for the eight raised beds and Ace Hardware on Dixie Hwy has partnered with us to help with all the hardware needed to construct our hoophouse. 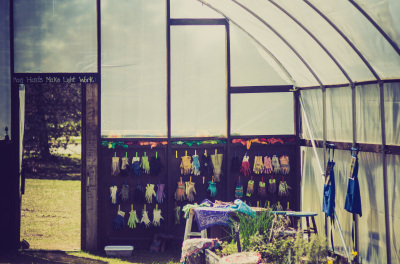 The Hopeful Hoophouse was designed to create outdoor educational opportunities even in the most inclement weather while growing delicious organic produce year round. 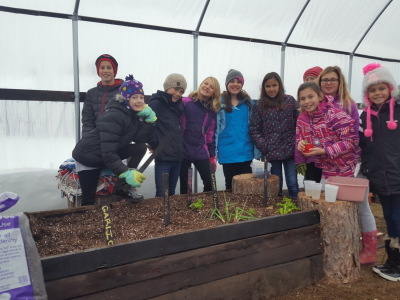 This incredible collaborative project has been enormously successful achieving these goals by hosting a range of workshops, garden and nature classes as well as Garden Club while providing fresh kitchen herbs, fruits and vegetables. 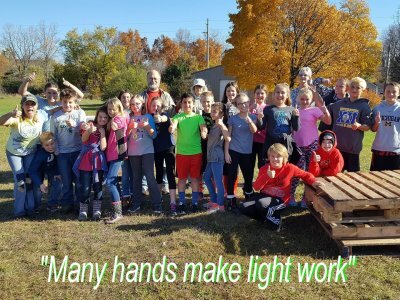 In the fall of 2016 the Independence Elementary School 5th graders took our Hopeful Hoophouse on as an academic service learning project under the leadership of Chelsea O'Brien and Dr. Kristen Gretka. 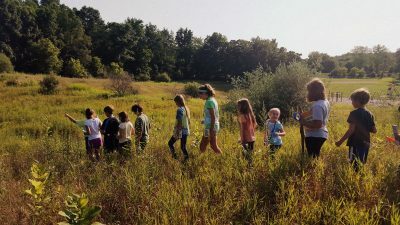 Over a period of 8 weeks parents, community members, our family farm leadership team and over 75 students created what is now a unique place for growing thinkers, learners and the best local produce you can find. As our students at the farm like to say, "Hoop there it is!". We hope you will come visit us soon and see how we like to "hoop it up". Pond sampling and water quality studies are one of the many activities that we will be doing at Camp WILD. Our learning is always fun, always interactive and student directed and very often directly supports STEM. Next generation science standards and common core are embedded in our camp program. Yep, learning through play while building new neuropathways, it's how we roll. Family oriented, hands on learning - fun - workshops! 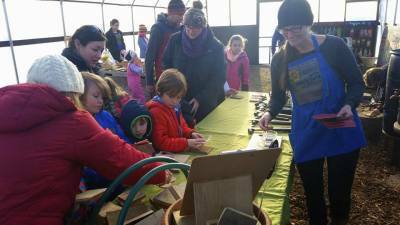 Past recent workshops have included: All About Bees, Composting and Worms, Up-cycling Pallet Wood, and Owl Prowl. Check out our Facebook page to check out, sign-up and follow upcoming events! Clarkston Family Farm Come see what we're about! Do we like volunteers? Absolutely! If you or your community group, team or organization are interested in helping at the farm please contact us ! We love the saying "If you want to go fast go alone, if you want to go far go together!" Help us go far in our mission, it's a win for all of us! Love what we're doing? Become a Friend of the Family Farm!